Meet Our first Bullie of the new year, Camille. We were notified this morning, by another rescue, that there was a very scared English Bulldog at Clayton Co. Animal Shelter. 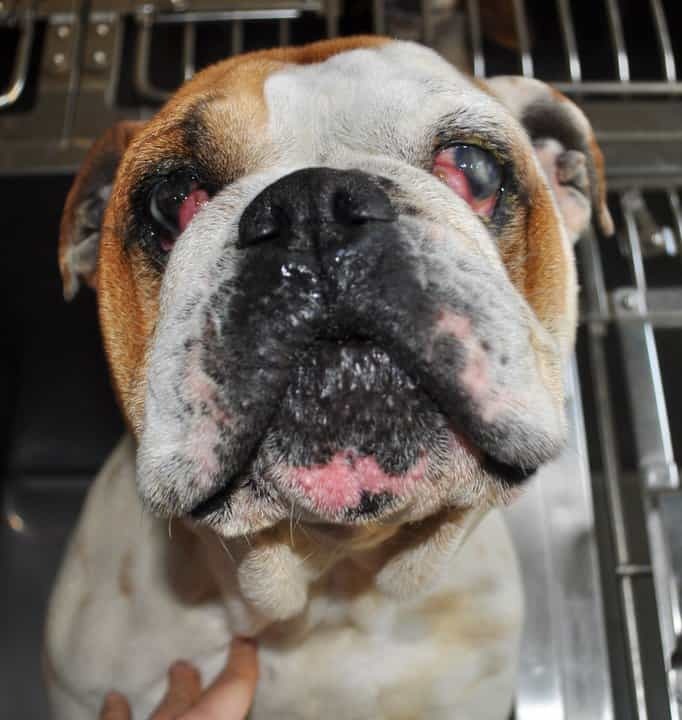 I immediately called the shelter only to find out that yes, there was a bulldog there but they couldn’t give me additional information because she was a stray and the intake officer was out in the field. She wasn’t due out until Saturday but he thought she may need medical attention. ROAD-TRIP!!! I arrived to find a very frightened little female huddled near the door of her cage, visibly shaking. It took a few minutes to even get her to lift her head to acknowledge me. Poor baby was terrified. We talked through the gate for several minutes before she would even approach, but when she finally did, she sat and raised her left paw to touch me. I had to get this girl out of here! She was thin and dirty but the most obvious problem were her eyes. 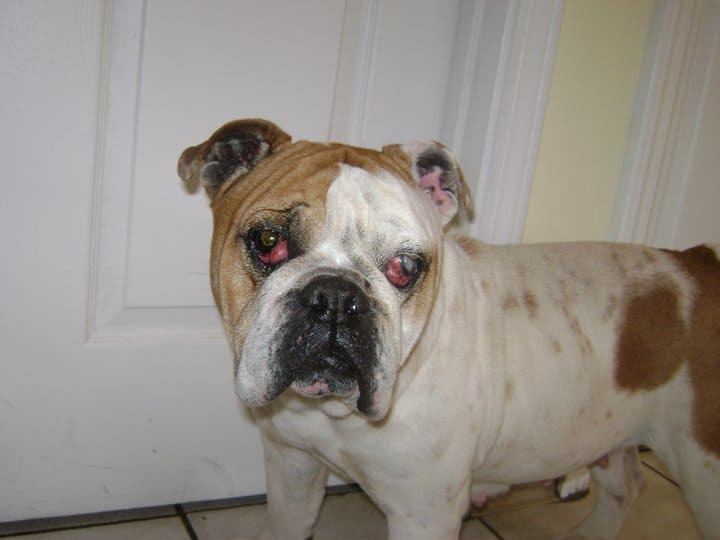 She has very large bilateral cherry eye, very inflamed and obstructing her vision. What remained of her eye sight was obstructed by thick green mucous that had dried over the eyes. 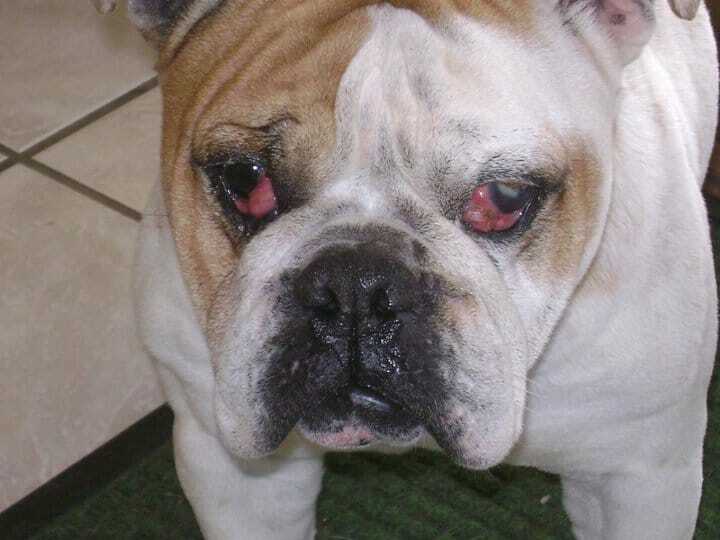 After wiping her eyes, the right looks like it will be OK with antibiotics but the left eye is bulging and very dry. I’m seriously concerned that there is something more going on in the left eye, she may even have ruptured it already. On further inspection…she’s in heat. Stray dog in heat???? ?Oh No!!!! By the looks of her abdomen, she’s had a few litters. I think she’s possibly 3 or 4 years old. The officers were very cooperative about letting me take her for medical treatment and, in a matter of 5 minutes, Camille and I were strolling out of the shelter together…big surprise to me, I didn’t think it was going to happen. 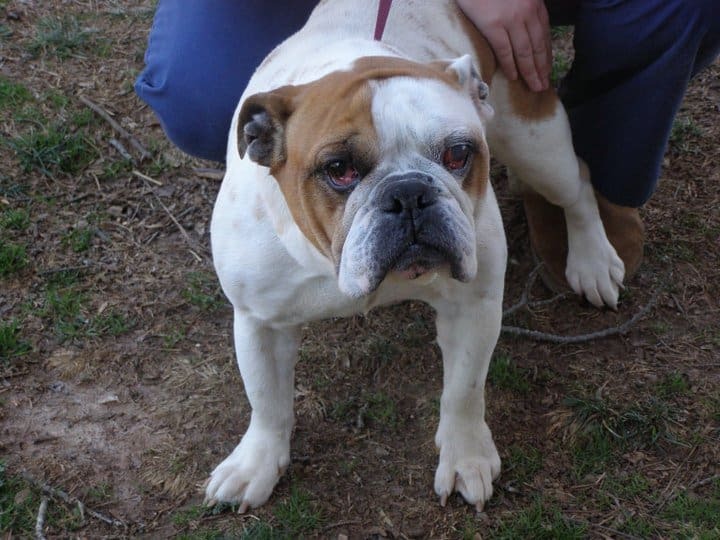 She is considered an emergency medical foster at this point but will be ours if no one claims her by Saturday. If the owners do come forward, they will have to pay a few tickets and her medical bills before they can take possession of Camille again. I told the officer that if he wanted to “lose” our contact information, Camille would be just fine. Judging by her appearance, I don’t think anyone’s going to be looking for her, she’s been neglected for a long time. She hopped in the car and allowed me to put her in a portable crate (tent like). We pulled out of the parking lot and to my surprise, Camille was in the back seat with her head on my shoulder. She unzipped the door to the crate. We had an enjoyable ride home, with Camille riding next to me, trying to figure out what her real name was…We think it was Sugar since she turned her head quickly and got a bit excited when I said it. We finally decided that Camille would be a fantastic new name to commemorate her entrance into the good life. She’s very loving and a bit submissive. I always stop and get french fries for the dogs I bring out of the shelter to win them over. She took each fry out of my hand very gently. Even though I knew she was probably very hungry, she ate like a lady. She understands No and Sit. She did keep trying to climb into the drivers seat with me but settled on leaning across the seat and resting her head on my chest. There was a cat roaming the vets office when we arrived, Camille didn’t flinch. When we were passing the other dogs leaving the shelter, there was no reaction. 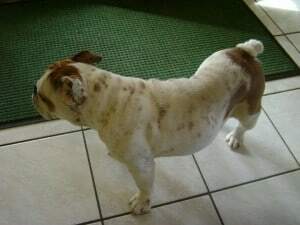 She is now at our vet for evaluation. Let’s keep our fingers crossed that she doesn’t lose her left eye, that she’s not pregnant and she’s heartworm negative. June 18, 2018: Camille crossed over the rainbow bridge today. Please keep her family in your thoughts. Update 1/25/2011: Camille continues to be just as sweet as she was when she arrived at the vet. 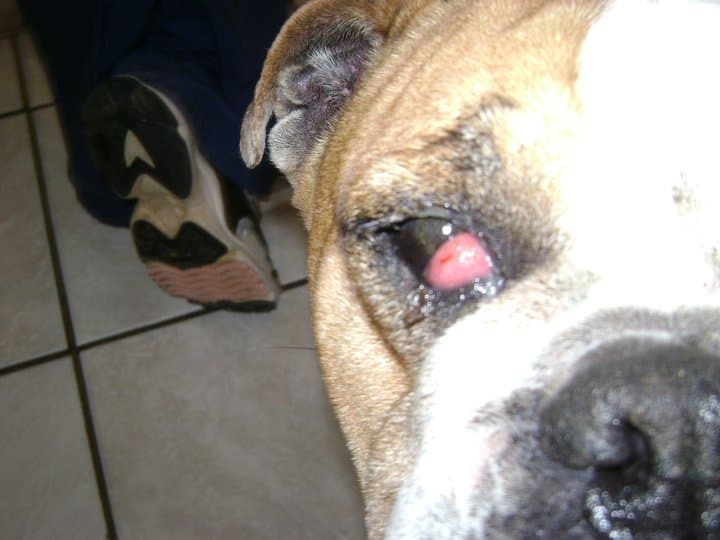 Her eyes are very infected and must have several days of oral and topical antibiotics before she can undergo surgery. 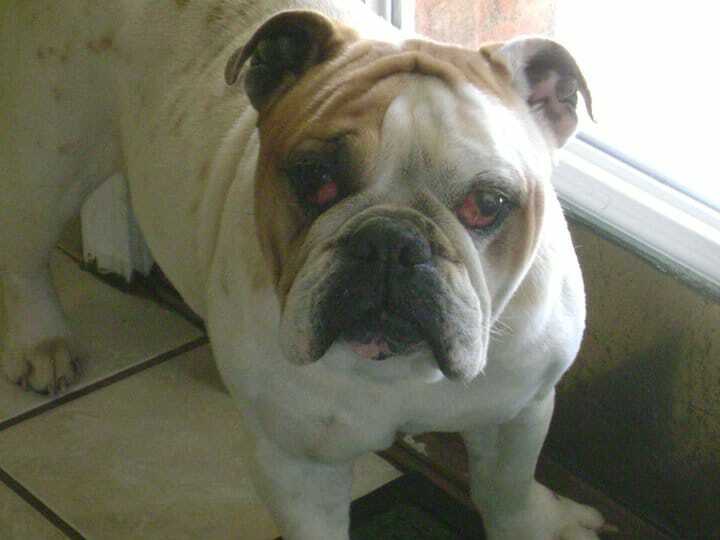 She’ll have cherry eyes repaired and be spayed at the same time, probably next week. More good news, she’s heartworm negative!!!! 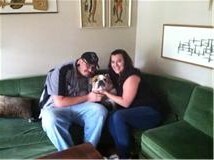 Pretty soon Camille will be in her foster home living life as a Princess. Update 3/15/2011: Camille has been transferred to her foster home. She is sweet to women and cats, we think she may not be all that fond of men. She will undergo evaluation in the next few weeks.